What are the Best Earplugs for Musicians? 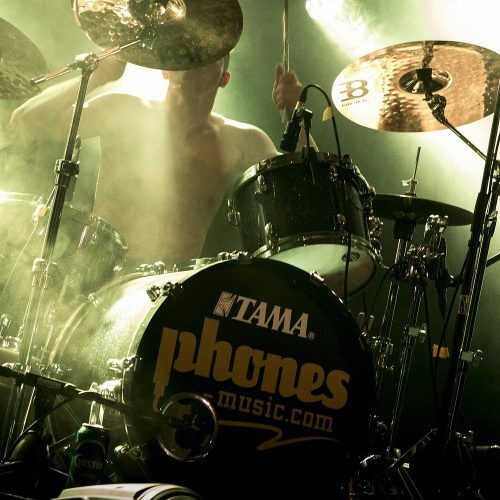 Hearing protection is vital for drummers. 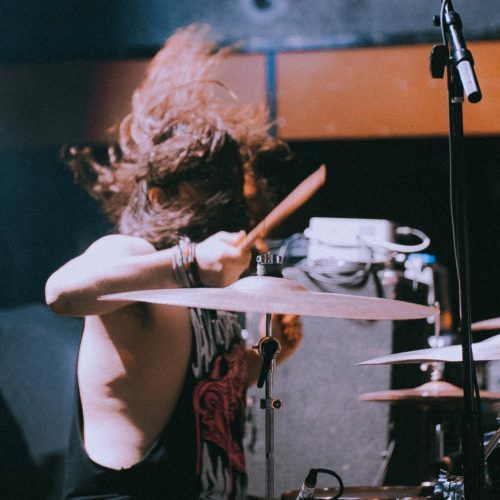 Noise induced hearing loss is irreversible and the statistics show that a drummer’s likelihood of suffering from hearing loss is quadrupled after picking up the sticks. Although hearing loss is a huge problem, fortunately it is easily preventable! This professional grade set of earplugs produced by EarPeace is designed to offer maximum comfort and ultimate hearing protection. Included in the package are three earplugs – a very generous offering to ensure you are still covered in case you lose one! Also included are three interchangeable filters to use inside the earplugs. You have the choice of medium, high or maximum noise filters. The maximum filter offers a substantial 26dB noise reduction! The filters evenly attenuate the frequencies to offer a true-to-life audio experience whilst offering significant hearing protection. These musician’s earplugs are designed and manufactured to a high standard to deliver supreme comfort and performance. The earplugs are made of medical grade, hypoallergenic silicone, and the acoustic filters go through 4 separate manufacturing steps to get a precise amount of unobstructed sound. Also included with these earplugs is an aluminum case with three chambers to house all three included earplugs. 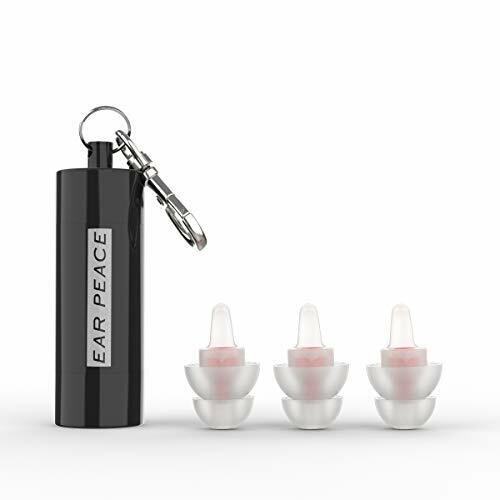 These EarPeace Earplugs offer excellent value and great performance. They are the best earplugs for musicians to suit all musical styles and budgets. 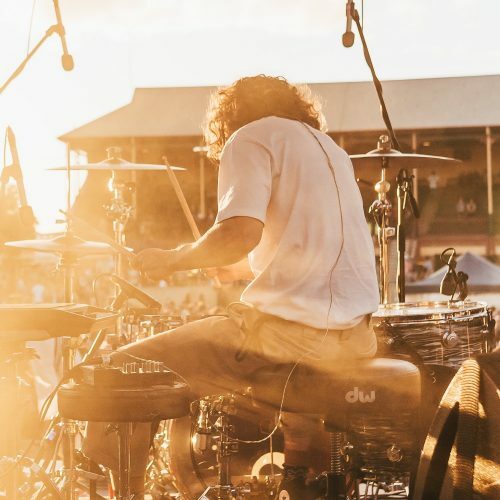 These Eargasm High Fidelity Earplugs are the perfect solution for drummers looking for significant ear protection without sacrificing sound quality. These ready-fit earplugs are designed for musicians to reduce noise up to 21dB whilst preserving the richness of music thanks to the attenuation filters. The attenuation filters inside the earplugs reduce noise to safe levels but allow you to hear everything with clarity as opposed to standard earplugs that muffle sound. With these earplugs the frequencies are smooth across the range, allowing you to hear everything as you normally would but with a significant reduction in volume. These are some of the best earplugs for drummers on the market right now that are not custom molded. In addition to their noise reduction properties they are also very comfortable and practical. The earplugs feature elongated pull tabs for easy removal from the ear canal and also included is a compact aluminum carry case so you can have them to hand for every rehearsal and show! Here we have the Etymotic Research High Fidelity Earplugs that come in a ‘standard fit’ size that fits most ear canals. These earplugs are designed to reduce up to 20dB of noise whilst offering comfort and also enhancing the music listening experience as opposed to standard earplugs. These ER20 earplugs feature surprisingly technical proprietary tuned resonators and acoustic resistors to replicate the natural response of the ear canal. This means that you are able to hear all the frequencies clearly to help encourage you to perform even better than you would with standard foam earplugs. 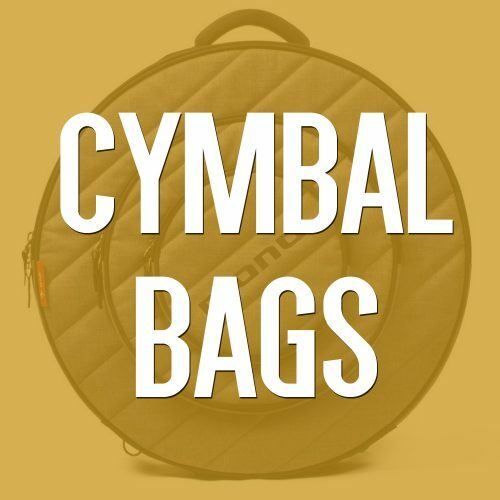 These are the best earplugs for drummers on a budget that help to preserve the clarity of music! Also included with these earplugs is useful neck cord and carry case so you can have these earplugs with you for whenever you might need them! These are a great set of musician’s earplugs that significantly reduce the risk of hearing damage from drumming and concerts. If you are on a budget this is an affordable set of musician’s earplugs that offer a great level of sound reduction and won’t let you down! Next on our list we have a practical set of earplugs made by Vater, a renowned drumstick manufacturer. These Vater Earplugs are made from high quality materials to ensure a high level of comfort and hearing protection that is essential for drummers. Included with this set of earplugs are two types of filters that are interchangeable to suit your desired level of hearing protection. The earplugs are soft and comfortable and are also easy to clean. Also included with the package is a lanyard that can connect to the earplugs to prevent you from losing them, as well as a high quality aluminum case to house the earplugs. These earplugs are comfortable to use and offer a high level of noise reduction whilst still allowing you to hear the music and drums with clear detailing. Overall these are a great set of earplugs that are also highly affordable and will last many years of vital hearing protection. 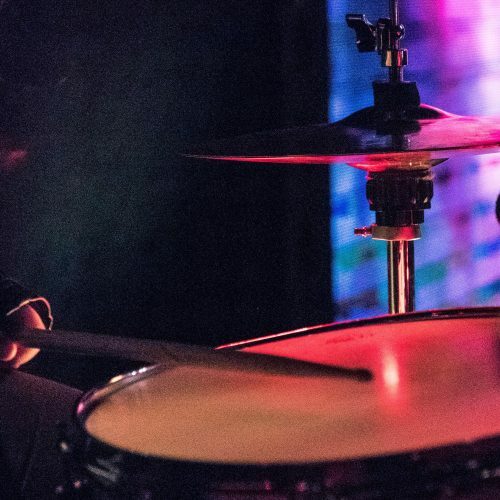 These are some of the best earplugs for drummers on a budget. Lastly on our list we have these Downbeats Earplugs that offer a really comfortable fit and 18dB of sound reduction in an affordable package. They have a low profile in the ear that means they are discreet and comfortable. These earplugs offer a good level of hearing protection and are perfect for concerts, music festivals and rehearsals alike. The design of these earplugs allows high notes to still come through crisp and clear. Included with these earplugs is a practical aluminum carry case that can attach to a key ring for maximum portability. If you are after a good set of earplugs that won’t break the bank but will sufficiently protect your ears then these are a great option for you! 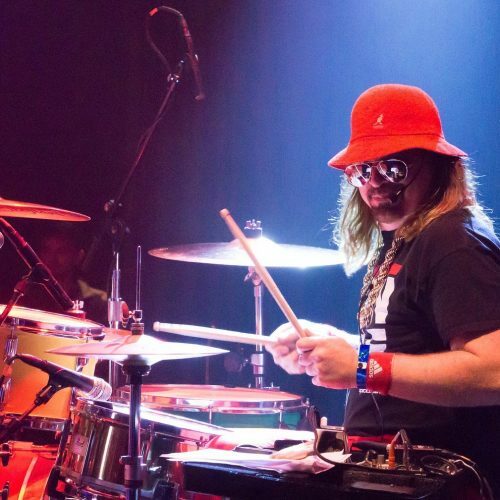 Hearing protection is essential for musicians in order to prevent noise induced hearing loss. 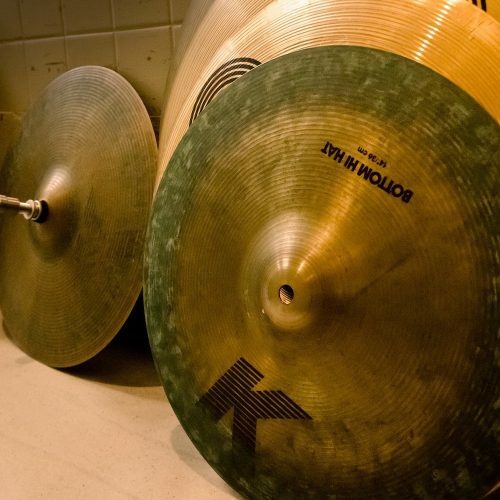 A 2006 study by the Percussive Arts Society discovered that 57.6% of professional drummers suffer from tinnitus, and 44.2% of amateur drummers do also. This is an incredibly high figure, due to drummers being exposed to high levels of sound for extended periods of time. Noise induced hearing loss is by far the greatest danger to a musician’s health. All musicians are pretty much guaranteed to suffer from tinnitus after performing a show in a loud nightclub, where decibel levels can exceed 120dB. 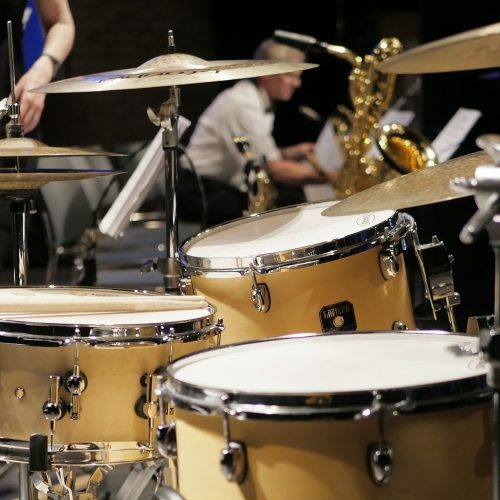 All musicians face the threat of hearing loss, but drummers have more hearing damage than any other musician because the drums are the loudest instrument. Ears have some ability to heal themselves but only up to a certain point. The regeneration rate is determined by multiple factors including genetics and overall health. Damage becomes permanent when the ears aren’t given themselves the time to heal. Hearing damage accumulates over extended periods of time, when the repair process can’t keep up with the ongoing rate of damage. You hear a buzz or ringing in your ears. Your ears hurt from the noise. You begin talking much louder than usual. Your ears feel stuffed or blocked. If you experience any of these symptoms it will definitely be worth seeking medical help. I would advise you see a doctor or audiologist and have a hearing test so you can have a professional assessment of your hearing and learn how to make changes so you can protect your ears as much as possible. What Else Can I do to Prevent Hearing Loss? Seeing an audiologist to have an assessment of the health of your ears is a good idea, in order to ensure there is no significant damage already. 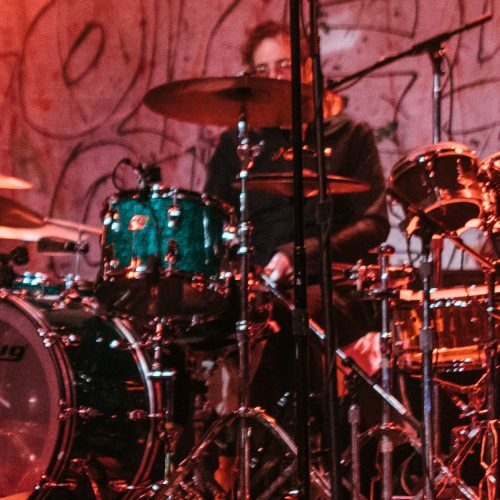 Drummers and other musicians will inevitably hear loud music for extended periods of time. Whether its rehearsals, shows, or going to other band’s concerts. Musicians are constantly exposed to loud music. Avoid standing in front of PA’s at loud music venues. Avoid listening to music on a loud volume with headphones. Give your ears some time to repair between concerts. Always wear hearing protection at shows. Why Are High Fidelity Earplugs Better Than Foam? Foam earplugs are useful and still provide a good level of noise reduction. Lots of music venues provide them for free, which is a great bonus for people in the audience who might be struggling with the loud noise volumes. Foam earplugs are effective, but they don’t offer a clear frequency response like high fidelity earplugs do. High fidelity earplugs feature specially designed filters inside that replicate natural true-to-life sounds. The best earplugs for musicians are high fidelity earplugs that are comfortable, offer a significant reduction in noise and deliver smooth frequencies. High fidelity earplugs such as EarPeace High Fidelity Earplugs are the best hearing protection available for musicians that demand high quality earplugs to prevent long term noise induced damage, but can’t afford to pay for custom molded earplugs. Are Custom Molded Earplugs Worth It? Custom molded earplugs are absolutely worth it if you have the budget to stretch to afford them. They are roughly 20-30 times more expensive than the high fidelity earplugs on this list. Custom molded earplugs are made by taking impressions of your ears with a professional audiologist, and having custom earplugs manufactured to fit your exact ear canal. The result is an incredibly sealed fit that is also super comfortable inside your ears. If you can afford custom molded earplugs I would recommend them, but otherwise high fidelity earplugs are the best option as they offer a comparable level of performance but at a much more affordable price. The options I have presented in this product guide are the best earplugs for musicians available on the market right now.